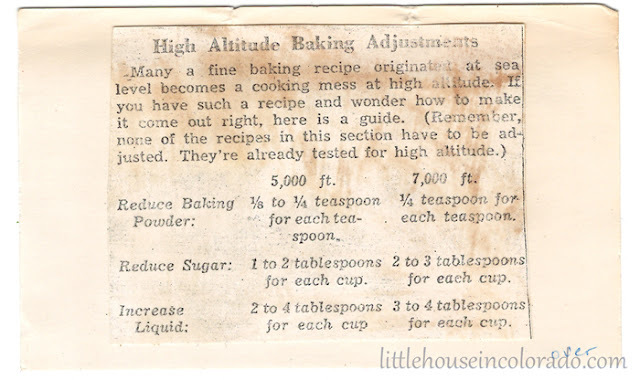 Of course, when you dig through a box of recipes that came from the Rocky Mountain region, it makes perfect sense that you would run into a recipe card with “High Altitude Baking Adjustments” on it. 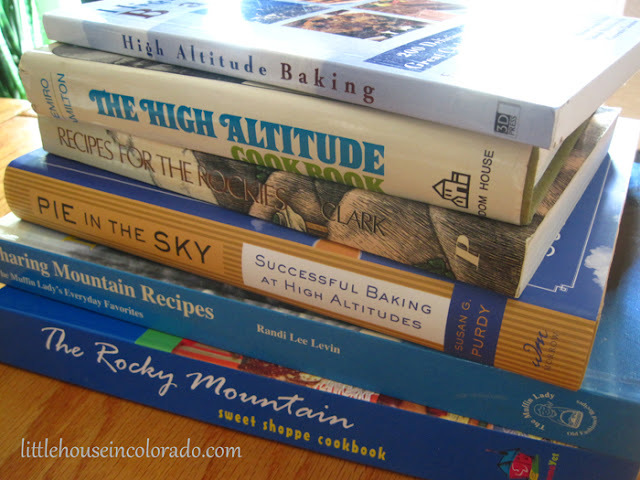 High Altitude Baking can be a frustrating experience, especially for those new to the challenge. 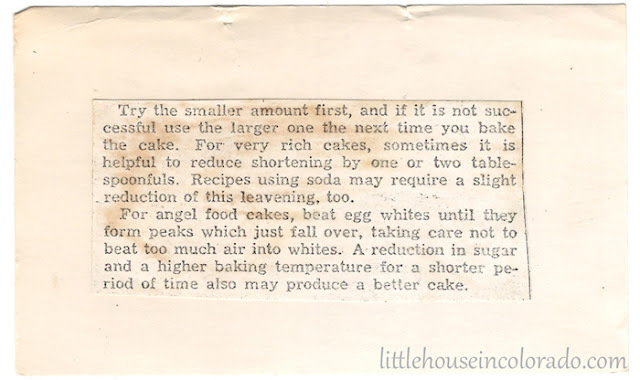 The tips found on this recipe card will give you a place to start when trying to adjust your recipes for a higher altitude. Please note the adjustments start at 5000 ft which may be higher than your altitude. I presume the information was published in the Denver area which sits at 5280 feet above sea level so their readers would probably not have a need for instructions for a lower altitude. I don’t suggest trying to convert ALL your recipes to high altitude unless you have a lot of patience and time on your hands…or unless you just plain ‘ol WANT to. It took me several weeks to get my bread machine recipe right so I’ve only fussed with a handful of recipes. Sometimes it makes sense to find some new family favorites. 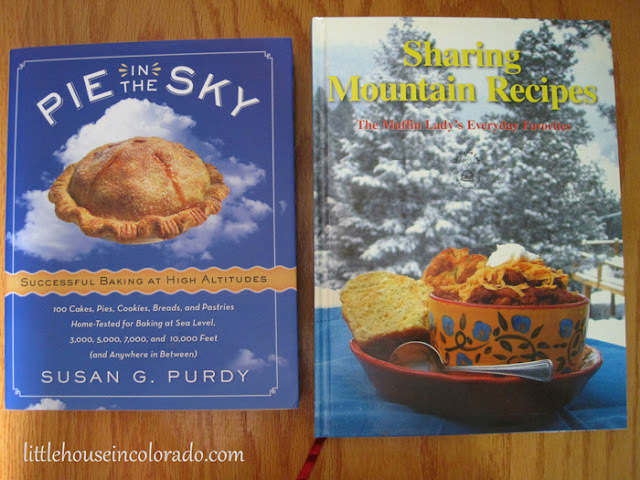 I recommend taking a look at a couple of my favorite high altitude baking books, Pie in the Sky by Susan G. Purdy and Sharing Mountain Recipes: The Muffin Lady’s Everyday Favorites by Randi Lee Levin. Also, check out second hand bookstores for local cookbooks (like those usually used by schools or churches as fundraisers). You can find a lot of high altitude family favorites in those cookbooks.